A man openly carrying a gun in Texas. The Supreme Court has turned away numerous Second Amendment cases in recent years, to the chagrin of gun rights groups and some conservative justices. The Supreme Court’s term comes to an end this week. As part of its rush to the finish, the Court’s nine justices were busy Monday deciding whether to hear a bevy of pivotal cases. Among them was a hotly contested gun rights dispute out of San Diego. Well without saying much — but for a dissent from Clarence Thomas and Trump appointee Neil Gorusch, S.C.O.T.U.S. declined to rule on whether a person’s constitutional right to keep firearms for self-defense extends beyond the home. Which means the lower court’s initial ruling will be upheld. What we know about the gun rights dispute. In 2014, gun owners took offense at a law that denied them from being granted a permit to carry a concealed weapon in public without showing “good cause” for having it. The law also gave county sheriffs the final determination in granting the permit. Back in 2013, Edward Peruta, a San Diego County resident, applied for a concealed carry, but was rejected because he failed to show he was in harm’s way. With the urging and support from a California affiliate of the NRA, Peruta and four others sued San Diego County. The state then intervened in support of the county. In the landmark 2008 District of Columbia v. Heller ruling, the Supreme Court held that the Second Amendment guarantees an individual’s right to bear arms for self-defense in the home. However, the ruling did not extend that right beyond the home. San Diego lawmakers attempted to clear up that uncertainty by necessitating that gun owners show good cause for carrying guns for self-defense in public. Generally, CA gun laws forbid people from carrying guns, either open or concealed, in public spaces. Peruta and the four other plaintiffs were aiming to change that. What the Supreme Court’s action means. 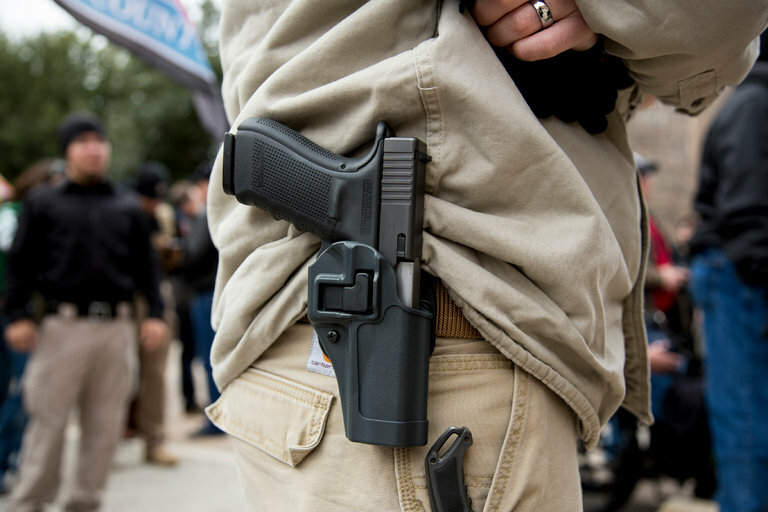 Last June, the appeals court of the Ninth Circuit ruled that the Second Amendment does not in fact protect the right to concealed-carry in public. The Supreme Court’s Monday decision upholds that ruling. With five conservative judges and four liberals on the bench, many thought the tide might begin to turn for gun rights activists — beginning with this case. It appears not. Copyright 2016 Massachusetts Gun License School. All Rights Reserved.